Victoria, B.C. 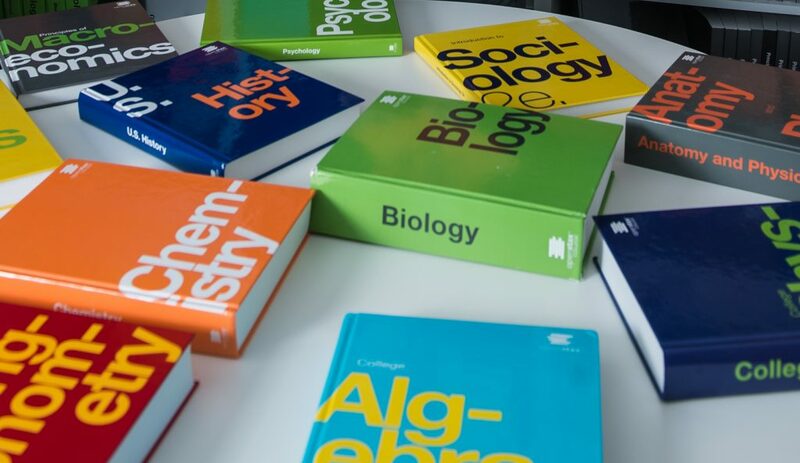 – Rice University-based publisher OpenStax announced on Monday, August 1, 2016, the top 10 schools that have saved their students the most money through the adoption of OpenStax free college textbooks in the 2015-16 academic school year. OpenStax recognizes schools that save students money with free, open educational resources (OER). OpenStax textbooks have saved college students more than $68 million since 2012 and $42 million in the 2015-16 school year alone. The publisher’s rapid, large-scale impact is due to its unique open education resource business model: OpenStax uses philanthropic grants to produce high-quality, peer-reviewed textbooks that are free online and low-cost in print. It launched with the goal of publishing free textbooks for the nation’s 25 most-attended college courses and is on track to meet its goal of saving students $500 million by 2020. To date, OpenStax textbooks have been adopted by 2,026 college systems/schools and used by 686,300 students. Williamson said anyone can start a conversation about OER, whether it is a faculty member talking among colleagues, a student approaching a professor or leaders initiating a campuswide dialogue. OpenStax titles include: College Physics, Biology, Concepts of Biology, Anatomy and Physiology, Principles of Economics, Principles of Microeconomics, Principles of Macroeconomics, Introductory Statistics, Precalculus, Algebra and Trigonometry, College Algebra, Chemistry, U.S. History, Psychology, Introduction to Sociology 2e,Prealgebra and American Government. OpenStax recently released Calculus and plans to publish University Physics, Microbiology and Astronomy this fall. Additional titles will be added in spring 2017. OpenStax is made possible by the support of the William and Flora Hewlett Foundation, the Laura and John Arnold Foundation, the Bill & Melinda Gates Foundation, the 20 Million Minds Foundation, the Maxfield Foundation, the Calvin K. Kanzanjian Foundation, the Bill and Stephanie Sick Fund and the Leon Lowenstein Foundation. Established in 2003, BCcampus provides teaching, learning, educational technology and open education support to the post-secondary institutions in British Columbia, Canada. We bring together the resources and expertise of the institutions in a collaborative model to develop curricular resources that are then made openly available. BCcampus also introduces and supports innovations in learning and teaching, and helps faculty and institutions evaluate and develop leading practice in the use of technology for learning. The work done by BCcampus enables a systemic approach to student learning in B.C., while recognizing the diversity of British Columbia’s post-secondary system.